Sunburst Pools is the place to be when you're looking to get your hot tub or swimming pool back in working order. 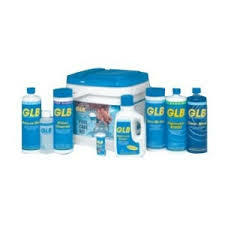 We sell only the highest quality pool chemicals and products designed to upgrade your swimming experience. Prolong the life of your pool by contacting us right away in Pataskala, Ohio, for the best in pool chemicals, liners, and water chemistry treatments. Your pool's always ready for swimming and splashing when Sunburst Pools is on the job. We sell a full line of pool chemicals from top-rated dealers, as well as analyze existing chemicals in your pool to make sure the water conditions are safe for swimming. Ask about our top-of-the-line pool heaters! We sell and install the best heaters and lighting products designed to provide extra warmth when the air starts to get a little chill. These heaters are also great for those thin-blooded swimmers who prefer warm waters, no matter the temperature! No one likes to waste time skimming leaves from the water before diving in. That's why Sunburst Pools sells premium pool covers. Call us today to ask about the right size for your swimming pool. Place an order for the pool chemicals you need to restore your waters by calling us today at (740) 927-9686 in Pataskala, Ohio.